Areas of interest: discourse-functional syntax, pragmatics, language and law, in particular, applying principles of grammar, semantics, pragmatics, and discourse structure to legal discourses such as contracts, legislation, wills, and other operative texts. Legal consulting: I sometimes consult as an expert to attorneys involved in legal cases in which aspects of language play a role. Beginning Fall 2015 I am in the Faculty Early Retirement Program (FERP), meaning that I will not be on campus during fall semesters, but will be on campus, and teaching, during the spring semesters. My teaching for spring 2017 and 2018: Ling 430 (English grammar for prospective teachers), Ling 530 (English grammar), and Ling 622 (Discourse & Syntax). Personal information: Born Philadelphia, PA, 1943. Grew up in Moorestown, NJ, according to Money Magazine (July 2005), the best place to live in the USA. Married to Peri L. Good (1984). Three children: Paul J. Kaplan, Sam Kaplan-Good, Ben Kaplan-Good. 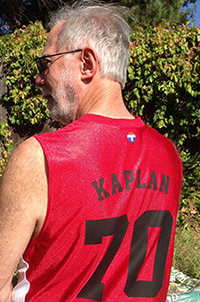 Loves: basketball, running, studying biblical Hebrew as well as other languages. 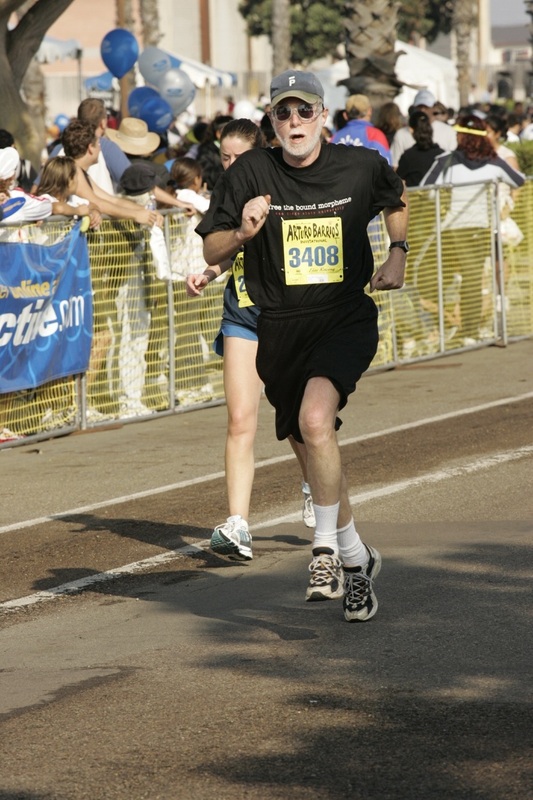 Finishing the Arturo Barrios 10K in October 2004. It looks like I am going faster than I am.